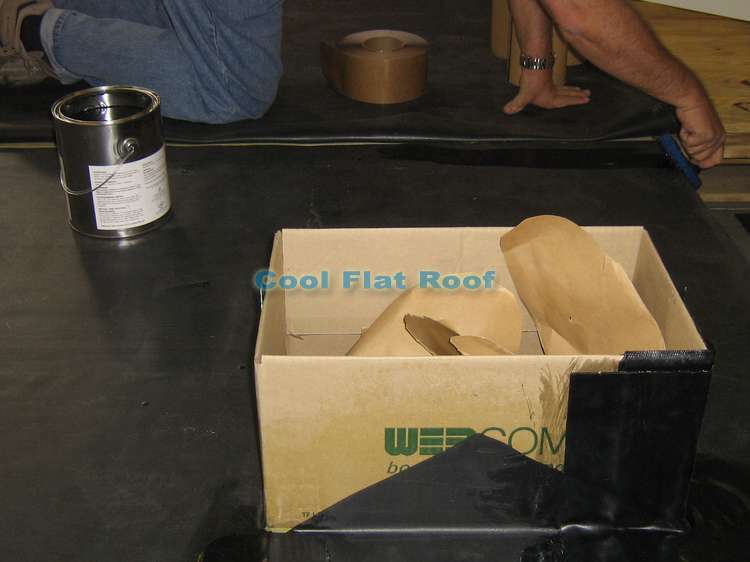 Rubber roofing (EPDM single ply membranes) is the most common flat roofing system in New England (MA, CT, NH, RI, etc.) and the rest of US flat roofing marker. Most people refer to a flat roof as a “rubber roof”. The main reason for such popularity of rubber roofs is the lower initial price tag. However, rubber roofs have many inherent problems. These problems cannot be solved by technology, because of their design, as well as issues with unprofessional contractors claiming to be “rubber roofing pros“. Homeowners with flat roof homes often find themselves in a situation where their roof starts to leak rather unexpectedly – i.e. only after a few years since it was installed. This for the most part happens to homes that have a rubber roof on them. While most flat roofs will only last 10-15 years, older systems such as Tar & Gravel, BUR (built-up) and in some cases Modified bitumen roofs. These roof types are usually installed by roofing contractors that are somewhat specialized in their field of work – these are “the old-timers”, or former union guys that decided to try their luck working for themselves, and they actually went through special training and have years of experience. If you have a leaking rubber roof in Massachusetts, Connecticut or Rhode Island we can give you a roofing price quote to replace your roof with our flat roofing material of choice – a new, lifetime PVC Flat roof manufactured by IB Roof Systems. We can also repair your rubber roof at a relatively low cost, using only the best materials that rubber systems have, and extend the life of your roof by a few years. One example of such materials are peel-and-stick flashing and seam tapes. We do not use black rubber glue as it is outdated, and leaks much faster. Why Are Rubber Roofs So Popular? Rubber roofs (EPDM) are the most used flat roofing products in the US / Canadian commercial roofing market. They we first put in service over 40 years ago, and since gained popularity among roofing contractors and their customers. The reason for such success lies in the condition of the flat roofing market at that time and the available alternatives. Back in 1960’s oil was still very cheap, it was more than a decade before the oil crisis of the 70’s and there wasn’t that much demand for oil. The oil refining process was far from being efficient and the industry was looking to get rid of many by-products of the oil refining process. At the same time, the flat roofing industry was the same as at the turn of the 19th century, and the most common product to use on a flat roof was either a BUR (built-up roofing, using multiple layers of tar paper, saturated in hot tar or hot asphalt) or Tar & Gravel roofing, which was essentially a BUR roof with gravel added for additional protection. Flat roofing technology has not changed for 100 years and contractors needed a new, easier to install and cleaner product, hence, EPDM rubber roofing system was born. EPDM consists mainly of oil based by-products with some modifiers and stabilizers added to extend its service life. Rubber roofing was cheap to produce, easier to install than conventional (BUR) roofs, did not require any special equipment to put it down and the membrane could potentially last for decades, as it was UV stable and did not break down when exposed to the weather. Because rubber roofing was cheap, quick to install, and offered a potentially long service life, and with lack of any opposition from better roofing products, it quickly became the king of flat roofing and the pioneer of the single-ply flat roofing market. Rubber roof repair guide – A part 2 of our Do-it-yourself guide teaching you how to fix EPDM rubber roofing systems with primer and seam tape. Below we will explain that one of the major problems with rubber roofs is the poor workmanship of roofing contractors who install and repair them. We will demonstrate how many roofers are “trained” in installation of EPDM single ply roofing systems, as well as results of their work (our Horrible Rubber Roofs series). Rubber Roof Contractors: It is unfortunate, but most residential flat roofs are installed by roofing contractors that specialize in asphalt shingles. Since they can easily purchase rubber roofing materials from their roofing supply warehouse, and are not required to be certified installers, nor do they need any special training or equipment, they will often undertake such projects to keep their crews busy. Horrible rubber roof part 1. Horrible rubber roof part 2. Horrible rubber roof part 3. These are just some roof inspections that we did in the summer / fall of 2011. Look – even commercial roofs are not immune to hack roofers and faulty materials (like rubber roofing), but in residential, this is much more common. To get a quality rubber roof installed, it usually has to be done by a commercial roofing company that specializes in flat roofing. However, it is often the policy of such companies not to work with residential customers, for which there are many reasons. These contractors work with large commercial and institutional customers, employ union workers who are trained roof mechanics, specializing in their particular niche. For example, a commercial roofing contractor will have separate crews doing metal roofing or slate – these guys are “roofers”, and yet another crew doing flat roofing ONLY – these are “roof mechanics”. A residential roofing contractor usually employs just roofers, who are good at what they do all day long – install asphalt shingle roofs, and often do not have a clue about how flat roofs work. When they get a potential client with a flat roof, they go to their supplier, ask what supplier has for flat roof, and the salesman at the supply warehouse TEACHES the roofer how to install EPDM rubber. This is not creative fiction or a product of my imagination – I see this happening nearly every time, when I come in to the supply store to get something. “Trained rubber roofing installers”: If you are lucky, you may get a roofer that has received some sort of training about rubber roof installation. For example, one of my suppliers, provides installation training programs for their roofing contractors who install only asphalt shingles. The idea behind such training seminars is to increase awareness and solicit sales of more roofing products. A manufacturer technician provides a sample installation on a 8×8 feet demo stand. 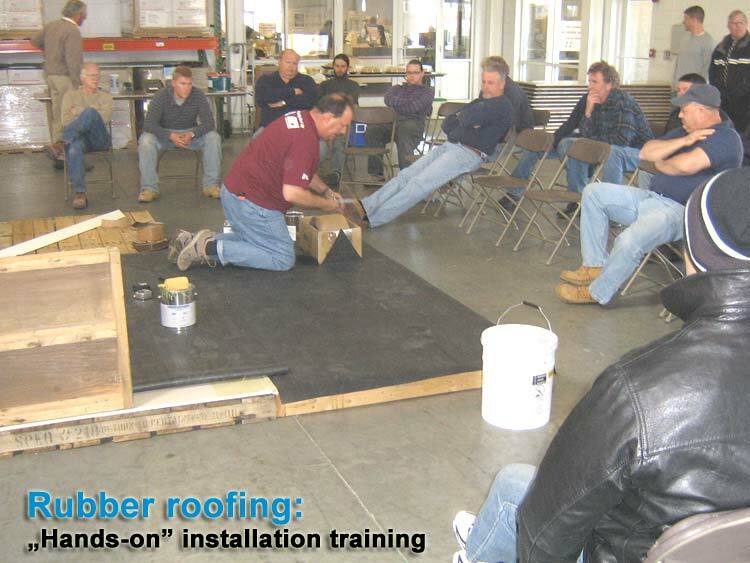 Below is an example of such “hands-on rubber roofing training”. As you can see, the roofers just sit around the demo stand while the MFG Installation technician shows them what to do. The whole demonstration took about an hour and a half, and covered thing like installing flat roofing insulation (ISO), adhering rubber to the ISO board, flashing a sky-light / chimney penetration with un-cured flashing material, installing the membrane up the vertical wall, cleaning & priming seams and installing seam tape, installing drip edge and a tape to seal the drip edge fasteners, and installing termination bar. In the same 1.5 hours we’ve also “learned” how to correctly apply yellow glue – membrane adhesive, seam primer – seam & flashing glue and how to install these systems in the winter, while violating manufacturer’s installation specs. In any case, each one of those 25 or so roofing contractors, willing to learn a new, and very complicated roofing system, asked an average of 0.3 questions about this system. Rubber Roofs for Residential Customers: It was clear that my supplier and the roofing representatives were selling to Residential Roofing Contractors. Not once did they mention roof-top HVAC units, roof hatches, elevator shafts, gas/electrical pipes, roof drains, etc. They did however insist that the rubber is a good choice for a low slope shed dormer (without mentioning the poor low slope roof ventilation and ice dam prevention associated with shed dormers). They also mentioned that rubber is a good choice for a flat roof decks and patios. So I live in central Florida and have a Spanish style home built in 1923, which I believe currently has rolled torched roofing. Have multiple patches and will need new soon. If I was to do an all together new roof, what should I do? Someone had mentioned that I should check into rubber, but sounds like it’s impossible to find someone good for residential? Also, I saw in one of your replies rubber isn’t good in Florida? We had a Decra metal roof installed 9 years ago with a lifetime warranty. We just finished a $45,000 repair on our home because of this roof. The back portion of our home is very low pitch around 4% I’m guessing. The repair was finished in November and here we are again with another leak. The Decra rep, last year, said it was ok to just repair it in the back even though they now say it shouldn’t be used on such a low pitch. I’m thinking of having the back roof torn off and replacing it with EPDM rubber. Is it possible to just take off the back roof portion and leave the rest of the surrounding metal roof on? Decra just doesn’t want to honor of lifetime warranty. We’re getting a lawyer for this hassle that they’re putting us through. Luckily I have legal service through my employer that doesn’t cost me more than $19 a month. However,I need to do something now and not wait for more severe damage. I’m sorry to hear about your troubles. I doubt that Decra will cover this, as it clearly states in their install manual and elsewhere that minimum roof slope should be 3 or 4 over 12 (14-18 degrees). 4% slope is definitely too low. It should have been your contractor that was supposed to know this at the time of installation. Really, material did not fail – it was improperly installed. Now I don’t know what the outcome of your legal struggle will be. But as far as roof goes – you should remove Decra off low slope. I’d recommend going with PVC or even TPO (still prefer PVC) on the low slope. I also recommend against rubber. You should install the single ply at least 2 feet under overlapping Decra tiles on the upper roof. I would not hire same roofer again to do the job – they obviously have no clue what they are doing. Hello, how do I get get in touch with the person who wrote the article? I could use some advice please. Thank you. Need help with this situation soon. I don’t know much about this roofing stuff. All I know is I need some Roofing work on a flat top trailer. All I know is there is so much Cool Seal cracked and coming off and some rusty spots and dips and lots of leaks. I have one man who claims he’s with the Better Business top rating that comes out here and says he’s going to do such-and-such and charges me A lot lot of money. Then I get leaks and get someone else to look at it and he has done nothing but patch here and there not the price of the three five gallon stuff he told me he was going to put on it. no he was not a roofing contractor. I talked to one roofing contractor who has been in it for 30 years. He told me the all the cool seal had to be scraped off Clorox spray clean ospo put on Rust areas and wired scraped off. Then two coats of Gaco Roof put on. Now some are saying go with a rubber roof but with all I have been reading that is not a good idea. I am a 60-something disabled female and tired of being taken advantage of. The first person was not a contractor. The second person was a roofing contractor for 30-some years. I trust him by the way he talked. he will not be available till after the first of the year. I already have leaks. Got that bad hurricane coming up with in the next week or so. What can I do? What is a ib roof? I have been reading on all this stuff for the last 3 hours please help me when some advice. I’m sorry to hear about your troubles. When you say hurricane coming in the next week – I assume you are in Florida – correct? If so, rubber roof is pretty much not available in south florida (roofing suppliers do not sell it because it’s not good). What I think is good choice is PVC (IB Roof) or TPO … TPO is less expensive, but on small volume (trailer is pretty small) difference in material costs is minuscule, and it’s all in labor. Now MANY roofers in FL install TPO and few do PVC (because it’s more money). However, if a roofer does TPO, they can do PVC, since they are installed in the same way. Ideally, what needs to be done in your case is fix any roof sagging, lay down 1″ of insulation and screw in a TPO/PVC materials, and weld all the seams. No need to scrape off old coating, as long as substrate is in good shape. Once that is done (correctly) you can forget about your roof. TIPS for Florida – membrane must be fastened every 6 inches along the roll edges, to prevent wind blow-off. I would also suggest laying down a 5/8 or 3/4 inch plywood over current roof (once all structural issues are fixed). This will provide continuous quality substrate for PVC / TPO. Now this may be costly, but unfortunately that is the only good way to do it. Otherwise you will have to keep dealing with coatings, that DO NOT do the job well. Good luck – let me know what you end up doing. Homeowners with flat roof homes often find themselves in a situation where their roof starts to leak rather unexpectedly i.e. only after a few years since it was installed. Leaking roof repair give protection or ten to twenty years with warranty for RV and residential roof according to majority experience its finest . I’m seeking information on joining a “rubber” bay window roof to my main slate roof. Whoever did it originally put the rubber over the slate. Doesn’t seem correct. Scott, you are right – rubber should go UNDER slate – not over (assuming slat roof is above rubber). What you will need to do is either hire a roofer or do it yourself. If you DIY, you will need a slate removal toor to take out at least 2 bottom rows of slate, and possible some rubber material / flashing to flash bay window roof under slate. Then reinstall slates with STAINLESS or copper nails. I did my 30′ X 25′ and 20′ X 20″ Garage roof and Pavillion Roof with roll on Eterna-Kote S-100 Rubber roofing. It stopped all leaks and is Guaranteed for 25 years. It cost me about $1500.00 For The Materials. I had $900.00 Gift Coupon for Home Depot so I only spent $600.00 of my own Money. I bought Six (6), 5 Gallon pails and a Long handled Roller brush, and it took about 2 days for 2 coatings. It took two days, you do the first coat day one and a second coat day two, you can do both coats in one day if you’re ambitious but I just had a stroke so I took my time. I laid it right over the existing asphault roll roof. Immediately the 32 holes dripping the rain into my garage and pavillion stopped and I only used Five of the six 5 gallon pails for both roofs. I still have one 5 gallon pail completely unused so if I need to patch or use it on my RV Camper I have plenty to use. Best investment ever. Hope this does not happen, why this is what I’ve seen happen to EVERY coating job I’ve inspected. Hello, what should a new EPDM roof for a 2000 square house cost (rip and replace). I am getting quotes over $20,000.00. Any thoughts? Any other systems that you would suggest that are more cost effective? I live on eastern long island. Hi Susanne, $20K for EPDM is $1000 per square – this is VERY overpriced. Residential rubber should be $600-700/sq or 12-14K max for 2000 s.f. Now if you go with quality PVC that it will cost about $17-20K depending on details. um sorry but my math might be wrong but 20,000 divided by 2000 is 10. “Hello, what should a new EPDM roof for a 2000 square house cost (rip and replace)” if She means a 2000 sq ‘ house yes. if its 2000 squares then. Out here on the Jersey shore, I have a flat roof wing on a house whose roof otherwise has cedar shingles. The mid-1980s builtup roof needs to be replaced. Because there is no ceiling other than the pine boards that are the base of the roof, long screws for EPDM is a problem. Two local contractors want to torch on bituminous rolls over a membrane, one wants to make it EPDM by gluing on the baseboard and then screwing the edges where he will go into the rafters, since the diamond screw pattern would leave 1/4″ screws coming in. I am leaning to bituminous rolls but any thoughts are welcome. They all seem equally competent, if anything the EPDM guy seems a little bit better with more experience. We have a rubber roof ( EPDM ) on our Park Model/ RV, which is stationary, is not moved. We discovered a leak from where a rather large limb fell on the roof and ripped the rubber and cracked the luan, which I can’t believe is used as a roof, but that is a horse of another color. Anyway, we had a roofing company come and put the sealer on the whole roof. We now have a leak in our bathroom fan vent. We’re done, we don’t want to deal with leaks, can we have an aluminum roof over put on top of our existing roof? We are afraid of mold growth between the rubber and the aluminum. So there is nothing wrong with the rubber, no carcinogenic compounds or anything, and just occasionally suffers from poor installation? Thanks for the tip on rubber roofs. The information has helped me decide on which type of material I want to be used on my roof. I received 2 estimates. 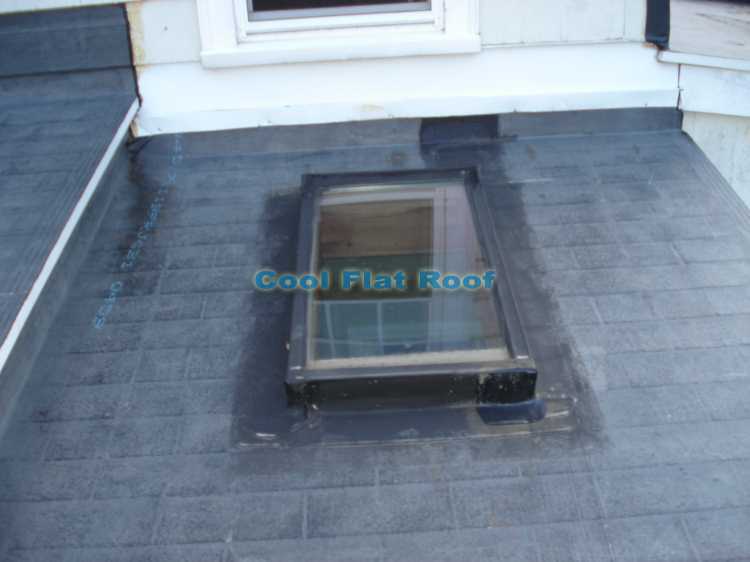 The cheaper one offer ed the rubber roof and the more expensive offered fiberglass hot asphalt roof. I wondered why there was a big difference in price. A difference of 1,400.00. Now I know why. Thanks! Terry, so why is the a big difference in price? Which one did you choose? How big is your roof what what were the quotes for? If I have a flat roof that has been covered with a rubber bladder and has leaked because of nails piercing the rubber bladder what would you suggest I use instead? I am in the process of trying to find a roofer that has experience with installing this type of roof in our area of Spotsylvania Virginia. I would appreciate any suggestions as to an alternative. Hi P Tshibaka – i’d obviously recommend PVC, such as IB or other reputable brand (Sarnafil or FiberTite). You can call IB Roofs and they will connect you with local approved installers. As for roof itself – remove all old roofing before doing new one roof. I live in Upstate NY. I have a garage that is gently sloped but not quite flat. can I get an estimate for this roof? Just had EDPM installed yesterday on my porch roof. Less than 2 sq. It was 45 degrees. I looked at it this afternoon and there are two large wrinkles. I thought it was supposed to be glued down. Will these wrinkles lay down later or will this be a problem? My boss doesn’t glue, just uses termination bar. Wonders why it still bubbles. it is 18×20. a 2/12 pitch. Bubbles in the day, flattens out at night. I say he needs a vent. Any ideas?? this is intended to point out a broken link in the article. If you’re familiar with EPDM coatings, and I would expect you are, what are your thoughts on using something like “Liquid Rubber” or “Liquid Roof” on an older EPDM roof prior to any leaks to prolong the life of the roof? I’ve seen over 10 coating jobs where coating is cracked and peeling off. Once that happens you cannot repair the EPDM roof properly, because now the paint is between your patch, primer and roof itself. I’ve tried to repair such roofs with great unsuccess. Now I’m not sure if those coatings were acrylic or Liquid Rubber or Urethane, but I just have a bad overall taste with coatings. Bottom line, if you use coating, you will have to stick with it – because now your roof is merely a substrate. Also liquid rubber is VERY expensive – Materials alone are $2.5-3 / sq. ft. which is more expensive that the new rubber roof or PVC roof. Born and raised in centerville on cape cod 9 years ago I finally sold my home in western massachusetts. I loaded up my utility trailer and moved to tucson, arizona. I bought a 1958 built home with really great construction. Last june I paid $15,000. for a 16 panel 4 kw solar system, grid-tied. Since last october I have used no power from the grid and I am feeding the excess back to the grid. Because of powering my pool and the AC in the summer I will be using about $60. of grid power as before the solar it would have been $220. per month in june. I have a built-up asphalt roof gently-sloped with rubberized paint. No problems. Even though I am paying for the system in monthly installments it is still less than my old electric bills.Today is march 2 and it is 77 degrees. I will be opening my pool in 2 weeks. Miss the seasons? N-o-o-o-o! I’ve only been in the Boston area for 6 months but have noticed the amount of EPDM or as I hear them called “rubbah” roofs. The main problem is the failing seams when the glues give way. And it is going to inherently happen because glues fail. PVC is permentently bonded by heating and melting the two overlaps of two membranes. Impenetrable. The PVC failures being referred to are with regards to un-reinforced membranes from the early years of single-ply manufacture (Trocal was one). Nowadays re-inforced membranes like IB’s PVC membranes have non-wicking scrim sandwiched between virgin PVC on both sides, with an acrylic top coat that keeps it cleaner and more reflective. White PVC should be installed over every single square foot of black roofing period, whether it is rubber or tar. White membranes lessen the heat island effect caused by dark roofs in cities. Facts are facts. Rubber is a temporary roof and is going to fail. PVC is going to last 4 or 5 decades. You’ll buy 3-5 rubber roofs in the lifespan of one 80 mil PVC roof. Just my opinion but I’ve never met a rubber membrane I wanted to put on anything. I am a carpenter. Really I know almost nothing about flat roofs, except when I go to purchase a property that has one, to avoid it. I always tell people you don’t need to fully understand something to make a correct choice. Common sense goes a LONG way. I guess at 29 (like 16 or any young age) you think you know it all. That really comes across on your site. I agree with “Real Roofer” (except for the “good marketing” comment). Thanks for wealth of info. Wish I knew this earlier. Can you please elaborate on the “Wish I knew this earlier” part? Did you have a hack rubber roof installed? It’s funny that you blast everyone of these guys that criticize you for their typos. Have you read your own work? I have installed many EPDM roofs over the years. I have replaced systems installed by hacks as well as systems installed by large, unionized commercial contractors. I’ve also replaced my own work a time or two (no one is perfect). EPDM does have inherent problems, yes, but it still has a place in the market. EPDM survives because it is cheap and accessible, and when properly installed works just fine. Personally, I recommend SPF roofs to anyone that can afford one, but a lot of customers balk at the price. Those customers are looking for the cheap alternative and usually end up hiring cheap hacks to install EPDM. That doesn’t just happen in EPDM, but siding, concrete, windows, and everything else. The customer looking for the cheapest contractor usually gets the worst work. Your claim that no one other than a large commercial company can properly install EPDM is preposterous. I Think Real Roofer Kicked your A $$!! I agree with him. Your a guy trying to sell chit by fear! Scumb Bag! EPDM is a great product. Your like a KIA salesmen telling me BMW is chit! Jack A $$. Besides the fact that seams will break apart and roof will leak, there is way too much roof for installation error with all the seam tapes / cover tapes, flashing contraction, bad adhesion, etc. However, my biggest issue with rubber roofing is the fact that TOO many hack contractors (like you 🙂 ) can easily install it rather cheaply (and that is the only way you can get the job – by offering low price), and then homeowner / business owner is stuck with crappy roof that needs hundreds or even thousands of dollars in repairs. Because you can buy rubber anywhere (now even Home Depot sells it) and do not need to invest more than $200 in installation tools, rubber attracts so many “real roofers” (not saying that Real Roofer guy from the comments above is a hack) who have no idea what they are doing, and screw the consumer, who buys into lower price tag deal. And once a rubber roof is installed, and starts leaking – roof owner has no real remedy to force a hack roofer to fix it, so they have to hire professionals to repair their roof. And way too often the roof is beyond repair. Bottom line – no one is immune from crappy installation. However, with rubber roof, your chance of getting a hack roofer is SO much higher that with PVC roof, which requires substantial investment in installation equipment, which hack roofer will never do. So your chances are much slimmer with premium roofing materials, and PVC roof will outlast Rubber roof any day! Ray – I recommend you stick with asphalt shingles and leave flat roofs to professionals ( us 🙂 ). Also, unless your comments are polite, they will go to spam! Rob – I never had a chance to properly reply to either of your comments. First of all, I do not doubt your roofing abilities, but as you have read – I find it common place practice that roofers with ZERO flat roofing experience install rubber roofs (because it’s the cheapest and easiest to slap together product) left and right, and then we go out and repair or replace these fairly new roofs – often 1 – 5 years old. For me – rubber roof is a combination of problems – bad seams / flashing and TOO many hack roofers installing it. There is nothing wrong with trying to sell your product that you may believe in, or maybe that is the one you can sell and warrant without being certified to install and obtain warranty for from the manufacturer. That is business. We are a certified IB Roof installer. IB Roofs does not sell it’s products through distribution – only to licensed contractors. It is much more difficult to sell IB roof vs. rubber roof / TPO and other cheaper products, mainly because people are cost conscious. And yes, we like IB Roof because of it’s lifetime warranty on residential flat roofs. PVC is PVC, in time, and exposure to the sun, air pollution & the enviornment, it will break down, become brittle, and I have personally seen how it delaminates as it breaks down. The old Gates system was notorious for this. As well as becoming completely unable to be reactivated once cured. All PVC roofs are different. IB roof does not cure, and remains weldable after 30+ years. So are some other PVC roofs. Here is a PVC Roof Repair article that I wrote a while back about Trocal and Sarnafil PVC roof repair. Additionally, here is a video demonstrating a 30 years old sample of IB PVC roof, and as you can see it is not cured, and is VERY flexible. I will make another video very soon to demonstrate how it welds together, and to the new IB material (stay tuned). Good luck to you. But downplaying one time proven, widely acceptable, specified and respected product, to sell your own, first off eliminates a product you may want to sell in the future. And especially when preying on consumers lack of knowledge & fears, always come bask to bite you in the you know what. I think the only reason why rubber is “time proven, widely acceptable, specified and respected product”, is because it cost’s a lot less than PVC roofs in general. Hence it is specified and chosen by roof owners. As far as preying on consumer’s lack of knowledge – I think I explain it an all the details I can include, to show that why I believe rubber roof is a waste of money. Yest it will work on straight roofs with no penetrations, but once you get into complicated stuff, flashing on rubber roof fails (and so does the Mod. Bit). I actually believe that I inform the consumers of more than likely outcome of installing a rubber roof – especially a residential rubber roof, because that is where most of bad installs take place. As far as wearing a white shirt – that picture is from a dance competition taken in 2006 (i could not wear a dirty roofing shirt 🙂 ). And I am a real roofer too – not a college kid as you say. A roofer with college degree in computers and business management. And I’ve been roofing for more than 7 years, and all that time (except for 3 months training) as a roofing business-owner – not a grunt who gets paid $12 / hr, and only cares about going home at 5 pm. All my roofs are installed with one basic premise – the roof MUST NOT LEAK – I do not want to make free-to-me trips to fix my bad work, and have a pi$$ed off customer. I want happy customers, who will give me good references! So I do the best work I can and go above an beyond. The night before I start a new roofing job, I only get 3 hours of sleep, because I keep thinking about the details of tomorrow’s job, and how to make the flashing work, and how to make sure roof does not leak if it rains overnight, and cannot for asleep. You think a $12/hr grunt thinks about that? I don’t think so. Yes, I’m not an old timer, and do not have 30 years experience, but I’m only 29. However, about of roofing knowledge and hand-on experience that I have, and research on roofing that I do, is more than many old-timers will ever have. I only know how to install torch-down mod. bit. or hot-mop tar and gravel roof in theory – merely because I do not want to install them and never will. I don’t need to know those systems because they are outdated and inferior in my opinion. But I know how to install PVC / TPO / Rubber roof / Metal Roofing (Standing seam / copper / zinc / metal shingles / stone coated steel tiles / roof coatings ) well, because we install them (except for tpo / rubber), I honestly believe that I’m better at it than most roof mechanics (not all) – mainly because I do care about end product. I appreciate your input, and I find your first comment, most hilarious that I’ve had on this website ! That’s why I approved it without editing. An EPDM (rubber) roof is a good roof. As long as it is installed by knowledgable competent roofing mechanics. Tar with (slag) gravel, is old school, yet still a very good roof, again if installed properly. Don’t let this site scare you away from either of these roofs. The owner of this site is here to make money selling his product. Nothing wrong with that, as a business is there to do just that, make money. We all want that. But the views of the owner are far lopsided and bias. If you read all the comments, you can see that either roof you mentioned is a quality rood. AS LONG AS THE INSTALLER IS QUALIFIED AND COMPETENT. looking at replacing a commercial flat roof and not sure what material to use after reading your info…by the way thought that it was very informative. It’s leaking and needs to be replaced but confused was told rubber was good but after seeing the pictures hesitant to use it. Is tar and gravel out of date or could you recommend a product/ procedure to install on flat roof. Here is the BRANZ link for TPO where the servicable expectancy is 15 years. As you can see, we don’t make wildly exaggerated claims down here, but like to be more conservative. Rubber Roofing is rated higher than its plastic cousins for one reason, it’s proven itself to hold its characteristics longer. Period. Like I said at the beginning, the workmanship of the membrane Installers in America are obviously of an appalling standard, not the membrane itself, and in no way would be acceptable down here. Even the quality of some of your installed PVC roofs would not pass here. Attention to detail, and pleasing to the eye, as well as good waterproofing application practices, are applicable to any membrane type for the supplier to be able to deliver a SUPERIOR SERVICE to his customer. Thats is how we work down here. while our roof is flat, it’s also at least two different levels, oddly; we’ve got a raised 3 foot wide border all around the periphery, on one side; on the other side of the house, the 3 foot wide periphery is lower than the main interior portion of the roof; all flat surfaced. I have two quotes and would like your opinion. We are replacing a flat roof (2200 sq ft) on a commercial buildings in northern NJ. One quote is to install rubber coat with torches on entire roof and then the entire roof will receive a top coating of aluminum roof coating for $9500.00. The other proposal is for installation of insulation and Firestone or GFA TPO roof for $14,995.00. Both include removing 1/3 the roof down to the plywood and replacing the plywood, sealing all seems, removing all debris. Which material is better? Which material will last longer? Is it worth paying the higher price? thanks for any help or feedback. As far as TPO – I’m not a big fan of that junk at all. Besides – in NJ you can get PVC for almost the same price, and it will work so much better for you. Look at it this way – TPO will last – actually no one knows how long it will last, not even the manufacturers, as the keep changing the product to keep up with failures… PVC is known to last 25-30+ years easily. Is it worth paying more – I think so… the outdated mod. bit. usually lasts 12-15 years, and if you have ponding water, it will leak. Read about the PVC roofing that we install. Good luck… let me know what you decide to do. I am in need of replacing my rubber roof on top of my restaurant and was wondering if you are aware of any “how to” books. I have read your entire website, and aware of certain ups and downs. I will be searching for other knowledge also. I have a friend who is very handy and does great quality work, and his brother installed a rubber roof more than 5 years ago (no leaks yet). So, as I said I’m just researching as of now. Any help on this would be greatly appreciated. I just had a rubber roof put on our house, the name of the company (was/is?) from out of Galesburgh, Il or Poeria, Il. nearly anyway, it is most expensive !! and we had no way of getting a loan, (had to go , on MY credit, of which was good, but, is an unsecured loan thru this company’s bank? Lots of problems, with these people, they actually threw down each and everyone of the “bundles” making our whole house shake and sounded like destruction the whole time!!!! Scared me to death each time heard it!! The company manager talke hateful to me when asking a question, very rude to me!is costing me 20%for unsecured loan through them, (nearly 9,000 $ just for interest rate!!!!! and the rubber is costing me (right out of my bank account,of which i told them I did not want to do I would pay them regardless) so it automatically gets taken rt out of my bank account each month!costing me $15,000 !!!! also,not even my house,just had married,and man i married has terrible credit, like NONE at all!!! Now why / How? can I have my husband pay his own roof ing bill? He also went chpt 13 on his house mortgage,cause he hadnt paid on his mortgage for over 6 yrs,of which i didnt know either! !I am getting robbed of my life here , and i cant take any more!! !I have MY own bills to pay and was nothing like this! !besides,we r older people, i will never get to retire and am 67 rt now and still working! He retired over 11 yrs ago and hasnt done a thing til now, and he still dont care! I am in a mess!what to do??? can u help???? No phone calls please email me! Thank you!! You can probably do it if you are extra careful not to point the nozzle of the power washer at the seams or any flashing, as the hi pressure water will pop those seams open. If it was me I would not do it unless there was a specific reason – like the reflective paint application to make your rubber roof cooler. If you will be power washing it, do not rush through the process, point the power washer in the direction of the seams – not against them. This way you should not damage your seams. When it comes to penetration flashing, again do not point the flow at the seam, as to not pop it open. As far as reflective paint – I would actually recommend using an acrylic or a urethane coating, instead of simple silver paint from the home depot. The acrylic or urethane (preferred) coating will actually extend the life of your roof, by about 10 years, as it will create an additional waterproofing layer, as well as make your roof cool. Silver paint is a gimmick – it does make your roof cooler, but not as cool as white coating. Silver paint is not a waterproofing layer. It will also become a problem later, when you need to repair your roof – it will prevent the flashing from sticking to the rubber. I recommend you not use the silver coating. Is it OK to clean rubber roofs by power washing? Or is that likely to compromise the sealed seams? Can I paint it with any reflective paint? Or is there a particular type? All “flat” (i.e. low-slope) membrane-type roofing products are problematic from an environmental and performance perspective. In terms of lowest environmental impact and highest performance, the best choice would be to design buildings to use “pitched” roof systems, e.g. shingles, slates, tiles (i.e., 3:12 slope or greater) or use sheet metal roofing systems (50+ years). That being said, in terms of environmental impact (in terms of both manufacture and disposal), PVC-based systems (and other chlorinated synthetic membranes) are the absolute worst. PVC-based products in general (roofing, windows, gutters/downspouts, piping, etc) are very environmentally problematic and present significant toxic and occupational health issues (e.g. contain hormone disrupters) They should not be used and should be phased out of manufacture entirely as soon as possible. Though I am not an enthusiastic EPDM supporter, as far as low-slope roofing systems go, EPDM has a relatively low environmental impact and presents no issues regarding human toxicity. Furthermore, test data demonstrates that EPDM membranes are the most durable over a range of temperatures, whereas, reinforced PVC, CPE and CSM sheets show lower low-temperature durability. The key to the long-term performance of EPDM roofs (any roof for that matter) is proper design and quality installation (20-25 years). Fact of the matter is, no roofing system goes without it’s flaws. Given the experience of almost all the systems out there. And being around long enough to see the pluses & minuses of each system. I have seen how each has typical failures. Whether breaking down and becoming brittle as PVC does, especially in more extreme climates very hot to very cold seasons etc. The attempts to reactivate the product once it cures etc. in cases of needed repairs additions with tie-ins etc. And I have seen less than experienced folks overheat, under heat the welds etc. EPDM field membrane is infinite. The adhesive in the seams, uncured/neoprene flashings etc, will start to fail as early as ten years, sometimes they will last 15 or 20. I have also seen inexperienced folks not mix the adhesive properly, not apply the proper thickness or coverage of adhesive, and over work/stretch the flashings to the point where they are paper thin. Or not cleaned enough and not properly adhered. Both are more prone to penetrations, but once complete, really should not have the opportunity to be penetrated other than when maintenance on roof units/ AC etc are performed. Some mechanics are just don’t care, what happens to the roof, or will purposely oops to make the roofer’s life miserable on purpose. Modified is an ok system, but needs more maintenance and if not properly/periodically coated. They will fail in 10 years or less. And as any other system, the installing mechanic needs to know what he is doing and have experience when it is being installed. This is the torch down system. The cold applied is pure garbage. There is nothing wrong with trying to sell your product that you may believe in, or maybe that is the one you can sell and warrant without being certified to install and obtain warranty for from the manufacturer. That is business. I wonder what your real roof time & roofing/installation experience is? How many systems have you put on? I would put money on the fact that I was on a roof laying rubber, torching modified, heat welding PVC, and slopping down hot tar before you were even born, or damn near close. No one on a roof should be wearing a white shirt. If you are you don’t belong up there. Or your an architect that is scratching his head, cause “it worked out on paper and the drawings”. But in real life, it ain’t even close. But down playing another product as inferior as the “one” you sell, is just plain BS. And praying on the consumer’s fears to sell your product. My name is Rob Leonard btw, and I live in Berwick, PA. And have nothing to hide, and no one to hide from. And yes, I am a real roofer. Not a carpenter, not a drywall installer, not a jack of all trades, master of none. I am and a damn good sheet metal mechanic also. , is this maintenance typical for a flat rubber roof? I was not informed at the time I had the roof installed that this would be required? $900 seems to be a little expensive for a roof that only cost me approximately $3000 max for a complete tear off and installation. They are trying to rip you off. A properly installed roof DOES NOT need resealing every 3 years. Seams should last 10 years or more. Also the 15 years warranty – was it for materials or labor? Resealing skylights should cost no more than $500 one time – after that it becomes technically difficult to do … You see – right now there is a flashing, and to reseam the flashing, new cover tape must be 6″ wider than old tape (3″ overlap on each side of old tape). Therefore they can only do this once without tearing off all tape..
so I assume they are just proposing to re CAULK your roof for $900, with cost of caulk being $30-50 for 6-10 tubes. These guys are scammers. Tell them to take a hike. You can email us pictures of your roof / skylights if you want to be sure. Thank You for your prompt response. I thought it seemed a little unusual as it would cost me approximately $4500 to keep the roof up to standards based on their recommendation which would be almost as much as they charged me to install the new roof and new skylights. As far as the sky lights I had them install new skylights when I had the roof installed so that I wouldn’t have any problems with them leaking. Also on my contract it states *no coatings needed* which I assumed that resealing wouldn’t be required every 3 years. I will try to upload a copy of my work order/receipt. I have installed almost every imaginable roofing system available, both residential & commercial. There is nothing wrong with EPDM rubber roofs. Yes they must be installed correctly. The training from Carlisle, Goodyear/Versico and other I have experienced were more than 1/5 hrs long and covered much more. Also, every person that attended performed the procedures taught right there on the “test board”. NO, any roofer CANNOT just pick up some EPDM supplies at the local supply house and install it with a warranty from the manufacturer. Any of the GOOD EPDM manufacturers require the installers to be certified! The before the warranty is awarded, the roof & all details etc, MUST be inspected by an inspector via the manufacturer or an independent inspector approved by that company. The upper class manufacturers even offer incentives for so many excellent passing inspections. If anything fails, the smaller things if any can be repaired right then and reinspected. Larger problems must be corrected and reinspected. SO you sir are full of crap! And merely trying to sell you so called “System”. That if was as truly as great as you say, would be more popular and a standard rather than a fly on the wall, OBSCURE system, like so many before it. I can bet this gets taken off the site here, and if it does, I will post on forums everywhere. PVC? Are you kidding me? Ive installed those also, heat welded failures. The PVC breaks down and leaks 10x faster than any EPDM or even modified bitumen roof. Your a complete line of BS, and any fool that pays you to put a roof on their house or business without doing their own research will regret every cent. If that is a photo of you 2 twenty something no nothings, you never were a “roofer” and never will be. What is you vast years of experience, jobs you have done & scope of the work you performed. Seems like a business course college failure selling BS on the internet. You’re a snake oil salesman, and like most the rest, prey on consumers lack of knowledge, misinformation and fears. I hope karma comes back to you 10 fold just as you deserve it. Your no roofer, but you slept at a Holiday Inn last night. SCAMMMMM ALERT~!!!!!!!!!!!!!!!!!!!! PVC LMAO!!!!!!!!!!!!!!! Oh and the “Green” friendly roof system. Explain to your customers about the PVC itself and what is in it and how it is made, then how it is disposed of and where that goes? And also explain the chemicals involved in the washes & caulks etc. Pathetic. You aren’t roofers, your internet marketing kids, selling BS. Good luck with that PVC. I look forward to watching you flop! A Real Roofer with real hands on knowledge! I am approving your comment as-is – just fixed a couple of typos. So this really isn’t about the pros and cons of the roofing system itself but more of a soapbox platform for UNIONS? I’m confused about your comment. The article is aimed to show people the negative sides of rubber roofing – EPDM – and not ot promote some soapbox platform that you are referring to or UNIONS. In fact I’m for the most part against unions and we are not a union roofer, and in no way does this article promote or even refers to unions. Basically I have no idea what you are talking about. He’s talking about the 2 references to union workers in your article. Both references paint them in a good light, but all you’re really saying is that these union guys were trained and experienced.